As life would have it, our daughters are besties just like their mommas. Sometimes it seems like we have known each other for three months, sometimes three years, but in their world they are already lifelong friends. They met on the lacrosse field and it was quick chemistry. It didn’t take them long to figure out they had chemistry off the field, too. This made them a duo on the field that no one wanted to compete against. The kind where they just give a quick glance, the smallest nod, or point a toe in a certain direction and the other automatically knows where to best position themselves for support on the field. They are simply in tune with each other. It’s almost uncanny how this mirrors the connection between their adult counterparts. 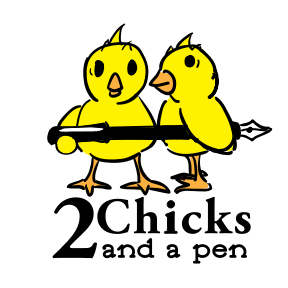 You’ll find Chick 1 and Chick 2 supporting each other on and off the field in much the same way. The games may be different but the principle is the same. Even though they are a bit apart in age, for years they played on the same lacrosse teams. Until now. Recently, Chick 2’s daughter Anne moved on to high school sports, while Chick 1’s daughter Lexi had to remain competing in middle school. A few months ago the girls played their last game together for a while but made a pact that they would share the field again in two short years. Then, in an unpredictable fluke, they ended up playing against each other in a tournament in South Carolina a couple of weeks ago, when they merged their two age groups. What an odd twist of fate. Lexi had a great idea before we all left for the tourney. Chick 2, could you bring the nice camera? It would be fun to have some shots of the friends competing – an in-action photo shoot of the besties back on the field together, something we thought would take years to happen. Of course, we not only photographed those games, but decided to blog about it as well. If you read our blog for a while, you’ll discover that in many ways, KT and Beth are opposites. This is a perfect example. As far as activities go, Beth grew up participating in the arts. She shies away from competition and seeks harmony. Karen is a multi-sport athlete. She’s been a coach for years now. She ignites passions in others, showing them that they too can be leaders on the field and in life. These early experiences are part of what shapes our very different approaches to life, adversity, and working together. You can see this in our writings and when you meet us at grass roots events. It’s part of our spark and signature. It’s a mix you can’t recreate as it’s genuine and deep-rooted. This is the same special spark our minis have and we cherish every day we get to see them laugh, grow, smile, and share memories. Heck, we even try to join in the fun as much as we can or as much as they will tolerate us. As for Anne and Lexi, they both played their hearts out that weekend. They bring out the best, most competitive parts of each other. At the same time, they are probably among each other’s biggest fans, just as both of the Chicks cheer for both of them wholeheartedly. Each had their winning moments that weekend. And when the game was over, they were right back to the same silly, goofy, lean-on-each-other friends they always are, a team that transcends uniforms. As we blog this both girls are in their different uniforms again, playing the game they love most, lacrosse. Anne is in Florida, Lexi in Georgia. No matter the miles they are still connecting and supporting each other with updates via text, Snapchat, and Instagram. Just wait until they figure out we were blogging about them as they were on the field.